Well, there it went. The first week of my new internship. I don’t think I’m legally allowed to tell you what exactly I did all week, so I’ll just say that, among other things, my week as test kitchen intern was spent sampling various whiskeys, thinking up ways to use up 10 pounds of leftover cheese, searching frantically for rutabaga in July, attempting to cut through a raw beef bone with an antique bone saw (nothing makes you feel more like a Civil War surgeon than the act of hacking away at bones with an old-timey metal bone saw. Except maybe the act of growing a wicked mustache/mutton chops combo. I don’t know. ), and inheriting fifteen pounds of charmingly mismatched yet unwanted antique dishware. So far, it’s been quite fantastic. 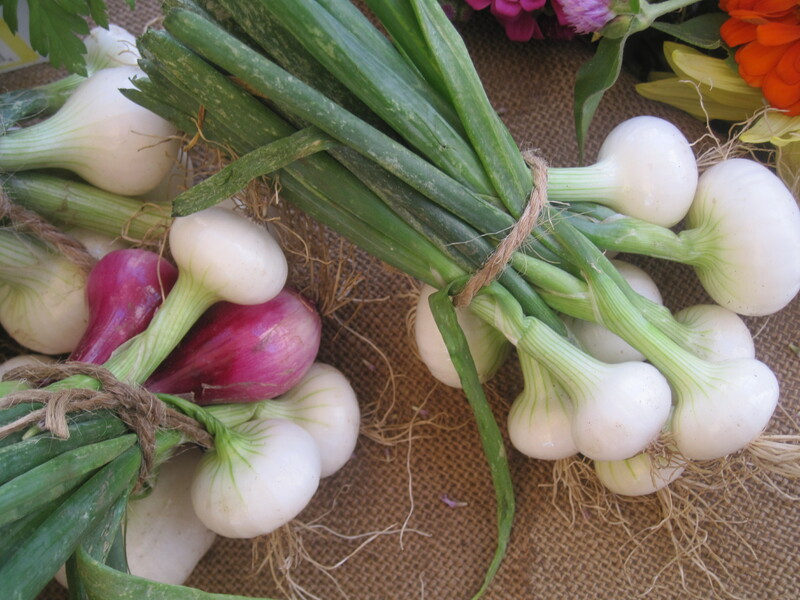 I also got to spend some time at the farmer’s market this week, which I always enjoy. 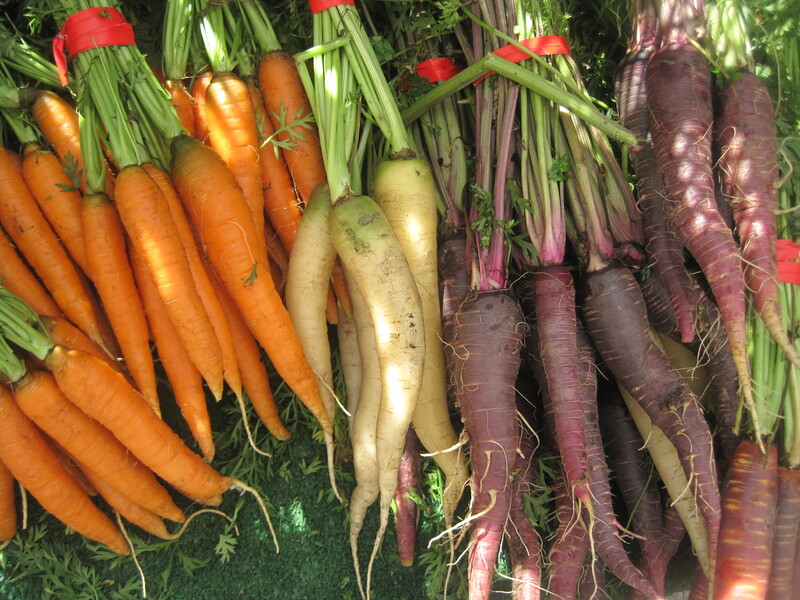 This time of year, the market is colorful and sun-drenched and lovely. If you can get to one nearby, do. And then make gazpacho. There are few summertime lunch or dinner recipes more refreshing than chilled gazpacho. Gazpacho is like salad, only better — because it’s not salad, it’s soup. Except you won’t need to turn on your oven even once to whip up a bowl. You just need to chopchopchop, and glugglugglug, and voila! Lunch. Light, cool, ridiculously easy to make lunch. This is my Aunt Lissie’s recipe (which means it’s also probably Jane Bursky’s recipe, which means it’s definitely a good one). Combine all of the chopped vegetables, except for the avocado, in a large glass or plastic bowl (do not use metal, which will chemically react with the acidic tomato juice and leave your soup tasting funny). (Also, please note that a food processor makes quick work of all that chopping. If you have one, use it). Add the tomato juice, olive oil, red wine vinegar, salt, pepper and cayenne pepper, and stir to combine. Add the avocado and gently incorporate so everything is all mixed together. The gazpacho can be eaten immediately but does best after a day or two in the fridge, once the vegetables have become friendly and all of the sharp flavors have melded. 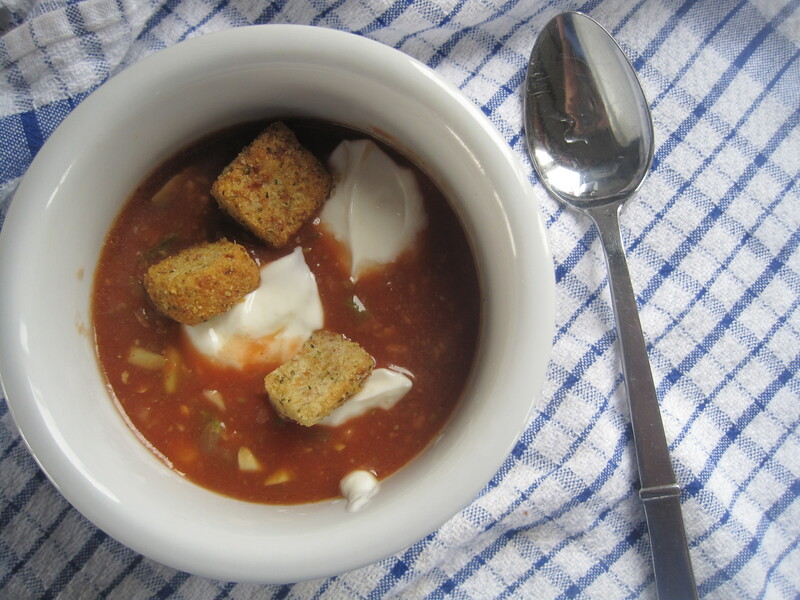 Serve gazpacho chilled, with a scoop of sour cream and a handful of fresh or packaged croutons on top. This recipe makes about 10-12 cups of gazpacho, which is a lot (though it keeps well in the refrigerator for about a week). Feel free to halve the recipe, if you’re not up to bathing in gazpacho. I want some — do you have leftovers for me to eat today?? Um…Andi Gilbert made a pretty mean gazpacho last time I was in MTK. She might deserve some credit on here as well. A can of drained chick peas can be added at the end for crunch and protein. Just do not add them before food processing or they will make the soup gritty. omg we just had this for dinner tonight. Absolutely delicious! 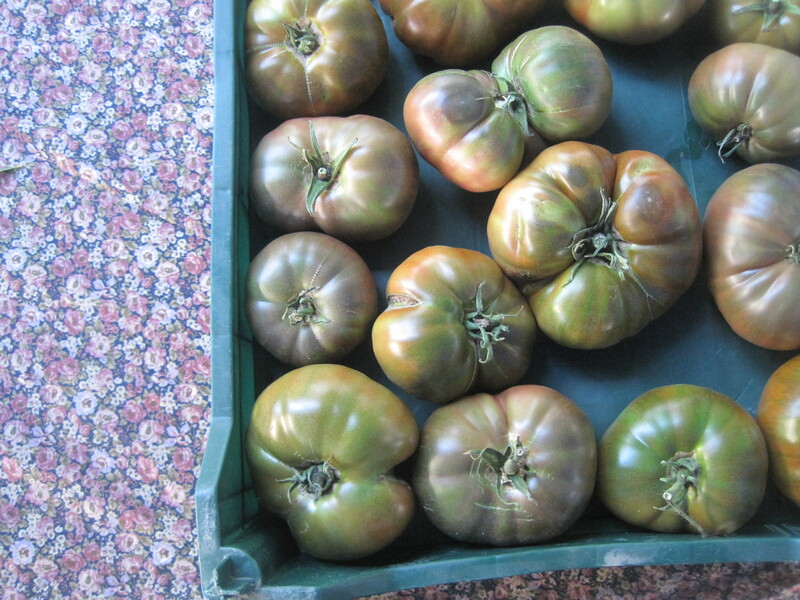 Summer is a great time for gazpacho because of all the fresh tomatoes! I usually plant them but didn’t this year. My neighbor did though and gives them to me! Also love the little cherry tomatoes and all the other small ones out now. By the way, my daughter Alyse made the best summer barbeque meal the other night. Mango and marinated shrimp shish-ka-bob with saffron coconut rice. To die for! Let me just say, I’ve had this gazpacho, and even though it doesn’t photograph particularly well, it’s DELICIOUS and healthy and the best summer lunch ever. Instead of the sour creme – a generous dollop of Greek Yoghurt (okay, I favor the Fage 0%) is just as creamy and good). Actually, Molls, the gazpacho recipe dates back decades to a Colorado Junior League cookbook that Brad and Marie gave me! It has certainly been time tested and is as good today as it was 30 years ago!